Tailored, hand finished car mats to protect the footwells of your Mazda from dirt, water, soil, mud and oil. Choose from a range of styles and colours to match any colour scheme and taste, with all of our car mats fully customisable from the colour and style of stitching to the logo or your own personal text. 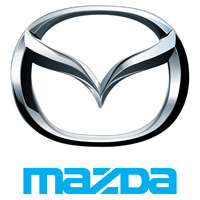 Cut from the original Mazda templates to guarantee a perfect fit and supplied with all the fixings you’ll need, they are also hardwearing, waterproof, fire retardant, and covered under the UK manufacturer’s warranty. Choose the options you like and let our easy ordering system and swift delivery take care of supplying you with the perfect mats for your Mazda.